Well this is an easy one. What better candidate then an anime literally named: Daily Life – Nichijou. Based of a 4 coma manga, all 24 episodes are broken up in small gags with pretty much no connection, or relation. 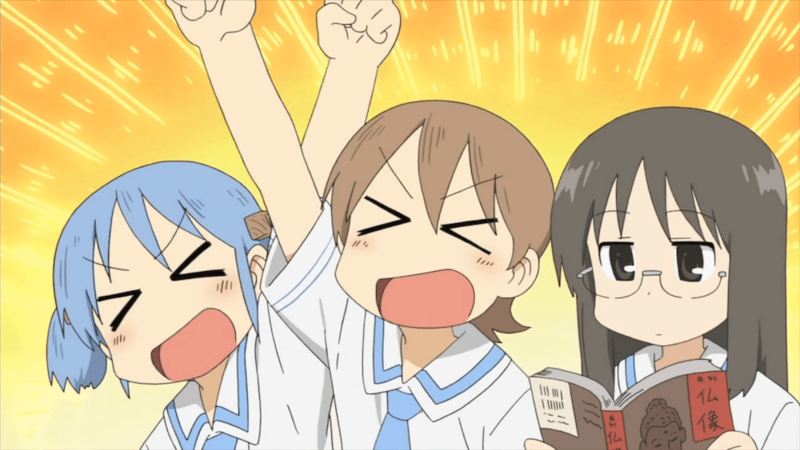 And thats what makes Nichijou amazing! Its hilarious, you can watch any episode in any order, and you are always guaranteed a good laugh. Also the art style is rather unique, which to me is very important, as it makes Nichijou stand out from the normal crowd.